When you fill out a contact form wishing to get in touch with us, we will collect that information and use it to get in touch with you in response to your query. We may use the information to reach out to you to inform you of some of the services we provide, provided it is inline with your original query. If you wish to make use of the RSS service at www.roaminpizza.com.au, you will need a piece of software known as an RSS Reader or Aggregator. This automatically gathers RSS feeds from all of your selected online publications, and makes them available to you on your desktop so that as new items are published, you will be automatically alerted of new content on our website. Site performance indicators:these give us information on how our websites are used, so that we can make the necessaryimprovements or amendments to make your experience a better one. AnalyticsCookies:these give us the statistics to understand how many people are on ourwebsite, which areas are popular and which areas we need to work on. Advertising Cookies: we use these cookies to understand what typeof advertising would be better suited to someone like you. That way, you would receive ads thatare more likely to be relevant to you. When it comes to direct marketing, no one likes being spammed. At Roamin Pizza, we may use your personal information to send you advertising that is customised to your interests, characteristics or general location. located at the bottom of the email. With this you can manage which messages you receive from us. We do what we can to keep your personal information up to date and accurate at all times as this allows us to deliver a better service to you. 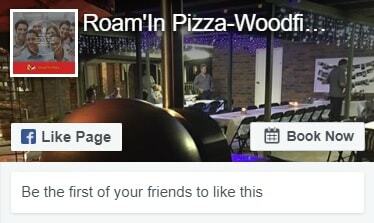 If any information we have for you needs to be corrected, you can contact us via admin@roaminpizza.com.au. We take active steps to protect the personal information we hold against loss, unauthorised access, use, modification or disclosure, and against other misuse. These steps include password protection for all of our IT systems. While we cannot share with you details of our entire security system for safety reasons, if you have any questions, you can always contact us at admin@roaminpizza.com.au. At Roamin Pizza, we do everything we can to keep your personal information accurate. 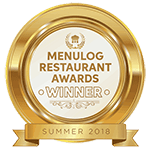 If you find that any information we hold about you is incorrect, you can contact us at admin@roaminpizza.com.au, or as per the contact details below and we will endeavour to assist you with your questions. Please bear in mind that under Australian privacy laws, there may be situations where we cannot provide access to such personal information. For instance, if it would reasonably affect someone else’s privacy or may pose a threat to someone’s life, health or safety. If you have any complaints or feel that there has been a breach of the Australian Privacy Principles, or a registered APP code, you can contact us at admin@roaminpizza.com.au or via another option below.